Standing at the vanguard of Mazda’s new-generation product lineup, CX-5 was the first model to fully adopt SKYACTIV TECHNOLOGY and the KODO—Soul of Motion design language. The model offered much more than the basic values of utility and practicality that customers expect from an SUV; KODO design imparted a powerful sense of vitality, and SKYACTIV TECHNOLOGY delivered high levels of both driving pleasure and environmental and safety performance. Not surprisingly, the model was exceptionally well received by customers around the world, and has grown to become one of the company’s core products alongside Mazda3. 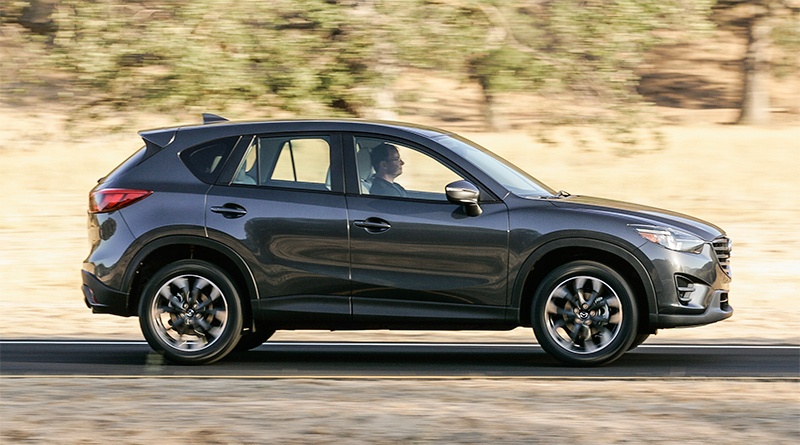 Since the launch of the original model, Mazda has made steady refinements to the CX-5 each year, aiming to deliver customers even greater value and sophistication. For this round’s update, the company aimed to bring new levels of depth and maturity to a variety of areas, including design, the quality and functionality of the interior, ride comfort and quietness, as well as safety performance. 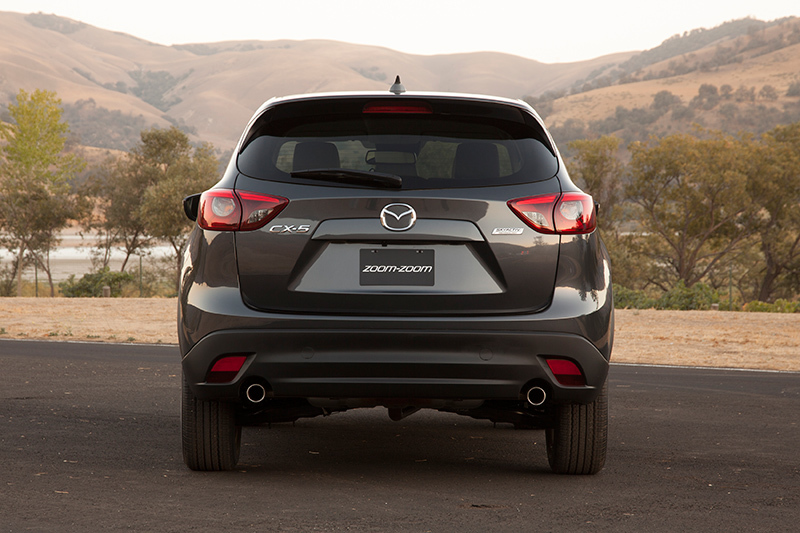 Launched in 2012, CX-5 was the first production model to adopt Mazda’s KODO design language. Features unique to KODO design, including a front nose with presence, a forward-leaning stance, as well as the rearward placement of the A-pillars and compact cabin, realized an exterior design with a sharper sense of vitality and dynamism. 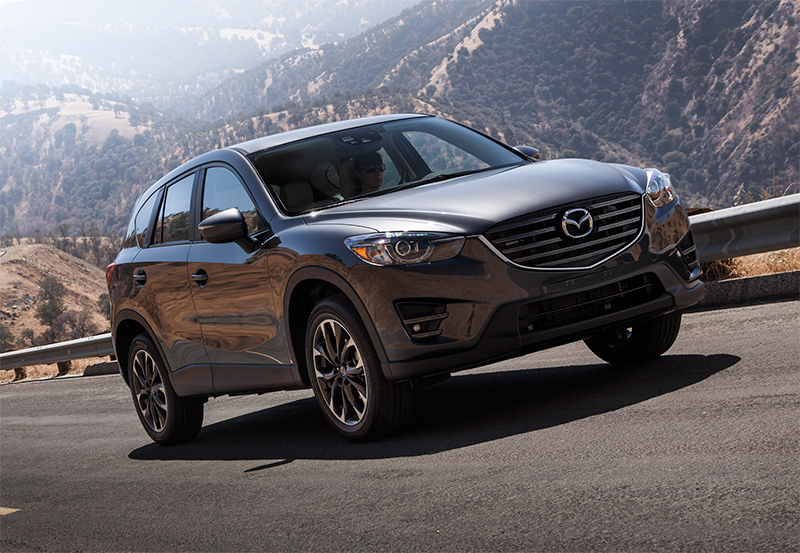 SUV styling completely different from anything that came before has earned the CX-5 high acclaim. 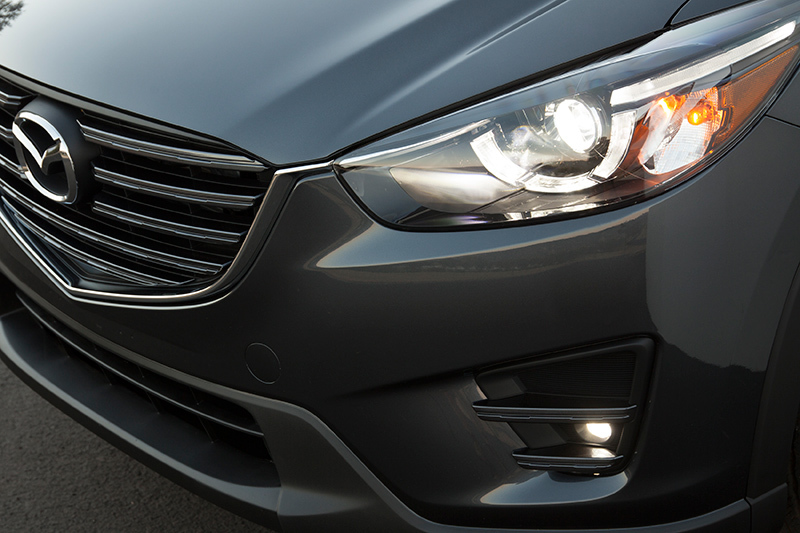 The front grille was evolved to create a design that is bolder and tauter with horizontal fins painted metallic gray. The headlamps create an enhanced sense of vitality by adopting a redesigned interior layout and new LED lighting signature (optional with Technology Package). The rear combination lamps feature an LED lighting signature (optional with Technology Package). The 19-inch aluminum wheels adopt a new design with machining that highlights a look of three-dimensionality. The lineup of nine colors includes the newly developed Sonic Silver Metallic and Titanium Flash Mica, which was first applied to Mazda3. 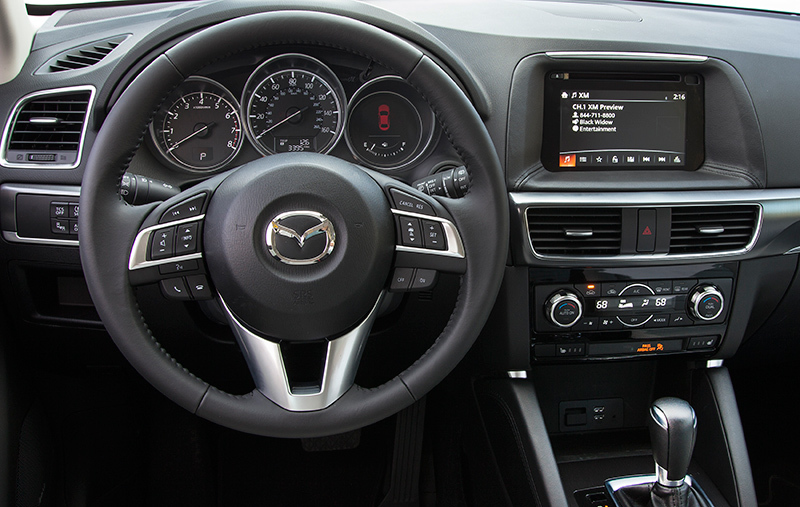 The interior fuses a driver-oriented cockpit design based on the Heads-up Cockpit, Mazda’s new Human-Machine Interface (HMI) concept, and SUV functionality and a look of power, as well as a sense of taste and high quality. Adopting an Electrical Parking Brake (EPB) gives the floor console a clean and uncluttered look of higher quality. The design features metallic-finish trim that produces solid-looking forms and a sense of power extending out to the sides on a horizontal plane. Three types of decorative panels are available for the instrument panel: an aluminum-look panel featuring a vertical hairline finish and a thin satin chrome strip, a metallic-finish panel, and a piano black panel. The refreshed CX-5 continues to offer a black leather interior, as well as black or sand fabric interiors. Leather interior choices include a new Parchment leather offering. For the fabric interiors, the center of the seats adopts newly developed materials. Storage space with increased capacity includes an open space in front of the shift knob, floor console cup holders and storage for small items, a console box, and front door pockets. CX-5 was the first in the Mazda product lineup to adopt SKYACTIV TECHNOLOGY for its engine, transmission, body and chassis. It added further polish to all the basic performance attributes of driving, turning and stopping to realize dynamic performance that delivered driving pleasure with a tangible sense of oneness between the car and driver. The results of this round’s update include the suspension system, NVH performance and seat performance achieving a more sophisticated and higher quality driving experience. The SKYACTIV-DRIVE automatic transmission newly adopts Drive Selection, which brings greater pleasure to driving. A smooth, flat ride realized by adopting a new structure for the front and rear dampers and optimizing the bushing shapes for the front lower arms. Further evolved NVH performance realizes a cabin environment in which occupants can better enjoy conversation while driving. Cabin noise when driving at highway speeds is reduced by approximately 10 percent over the previous model. The evolved front and rear seat structure provides a feeling of comfortable snugness and a good fit, excellent holding characteristics, as well as ride comfort. The length of the rear seat cushions was also extended, enabling the occupant to relax and sit naturally. CX-5, powered by a gasoline engine and paired with SKYACTIV-DRIVE, adopts Drive Selection, which allows drivers to switch drive modes for a more responsive driving experience. Mazda pursues safety performance based on its Mazda Proactive Safety*1 philosophy. The fundamental performance of the Mazda CX-5, based on SKYACTIV TECHNOLOGY, has been further polished. This combines with Mazda’s i-ACTIVSENSE*2 advanced safety technologies to achieve world-class safety performance, allowing customers to enjoy the drive with peace of mind, whatever the driving scene. Available as an additional feature, Smart Brake Support (SBS) helps avoid frontal collisions or minimize damage when travelling mid- to high-speed. Mazda Radar Cruise Control (MRCC) is another additional feature that automatically controls the vehicle speed to maintain the safe following distance in accordance with the target speed set by the driver.